Hello dear readers! Happy July 🙂 July means that we are in the full swing of summer and that means… a new season of Voice of China is going to be here soon. Or is it not? While Jay Chou, Na Ying, Wang Feng and Harlem Yu will still be uncovering new voices for us, Voice of China will cease to exist due to a legal dispute over copyright. This entry was posted in > China, - Variety Show, News and tagged China Super Vocal, Harlem Yu, Jay Chou, Na Ying, The Voice of China, The Voice of China Season 5, Voice of China 2016, Wang Feng, Yu Chengqing, Zhou Jielun, 中国好声音 2016, 中国好声音第五季 on July 1, 2016 by Kate - skimmedmilkdrama. Hello everyone. 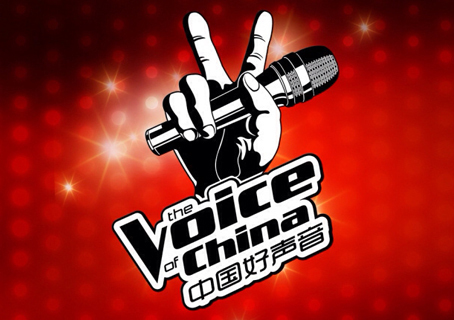 Can’t believe we are nearing the end of The Voice of China Season 4. I never planned and never thought I would recap this series all the way to the end! I’ve never been a musically inclined person so recapping a singing competition as my first ever full series recap had never occurred to me. I’m really heartened to see so many people reading my recaps and recently, commenting and discussing! Today, I’m gonna share my predictions about who will win this competition! This entry was posted in > China, - Music, - Variety Show, Thoughts and tagged Beibei, Chen Zitong, Harlem Yu, Jay Chou, Leon Lee, Li An, Na Ying, Queen T, Tan Xuanyuan, The Voice of China, The Voice of China Season 4, Top 5, Wang Feng, Winner, Yu Chengqing, Zhang Lei, Zhou Jielun, 中国好声音, 中国好声音第四季 on October 6, 2015 by Kate - skimmedmilkdrama. Tonight will be a battle between our top 10 finalists. Will your favourite singers make it to the Top 5? Continue reading to find out. This entry was posted in > China, - Music, - Variety Show, Recap and tagged 150930, Beibei, Chen Zitong, Gin Lee, Harlem Yu, Huang Yong, Ika Zhao, Jay Chou, Leon Lee, Li An, Li Xin Ni, Lotus Zhang, Na Ying, Queen T, Sun Bo Lun, Tan Xuanyuan, The Voice of China, The Voice of China Season 4, Wang Feng, Yu Chengqing, Zhang Lei, Zhang Shu, Zhao Da Ge, 中国好声音, 中国好声音第四季 on October 3, 2015 by Kate - skimmedmilkdrama. Hello my dears, in my Voice of China Ep 11 recap, I mentioned that there was a ‘media clash’ between Wang Feng and the media. I had wanted to blog about it when I first read about it but decided not to reveal spoilers. Now that the episode is aired, here’s more about it. Last week, Wang Feng suffered 3 consecutive defeats when his team went against Harlem’s team and made a controversial speech because he was very upset with the judges (made up of the media and people from the music industry). Wang Feng had blamed the media for being unfair towards his students because of prejudice against him. This entry was posted in > China, - Music, - Variety Show, News and tagged Beibei, Ha Lin, Harlem Yu, Ma Yin Yin, Media clash, The Voice of China, The Voice of China Season 4, Voice of China Wang Feng media, Wang Feng, Wang Feng vs Harlem Yu, Yu Chengqing on October 1, 2015 by Kate - skimmedmilkdrama. This entry was posted in > China, - Music, - Variety Show, Recap and tagged Beibei, Ha Lin, Harlem Yu, Huang Xiao Yun, Huang Yong, Ika Zhao, Jay Chou, Lotus Zhang, Ma Yinyin, Na Ying, Tan Xuanyuan, The Voice of China, The Voice of China Season 4, Wang Feng, Yu Chengqing, Zhang Shu, Zhang Xinxin, Zhao Da Ge, 中国好声音, 中国好声音第四季 on September 26, 2015 by Kate - skimmedmilkdrama.